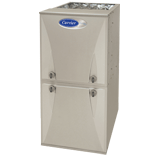 Looking for top-of-the-line comfort, performance and efficiency? As its name suggests, the Infinity series takes them further than they've ever been. But if the top has a top, its name includes Greenspeed® Intelligence. Whether you live in the cold North and need the high-efficiency of a condensing gas furnace or the moderate South and can do just fine with a little less efficiency, you'll still enjoy ultimate comfort with these Infinity series furnaces. 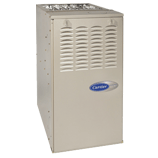 If efficiency is a hot button for you but budget is your primary concern, consider our Comfort 90 % AFUE gas furnaces. These high-efficiency furnaces excel at generating warmth throughout your home—while generating low energy bills though those long winter months.